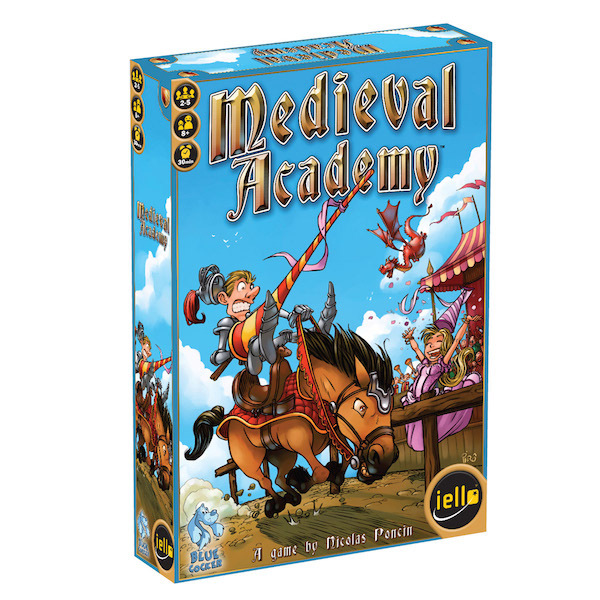 In Medieval Academy, each player takes the role of a squire who wants to outdo the others in the different training categories to score Chivalry Points. To achieve this goal, during the six turns of the game, the players must wisely draft the cards that are the most useful to them and play them at the right time to move their discs up the training tracks. At the end of turn VI, the squire who has the most Chivalry Points wins the game and is knighted by King Arthur!